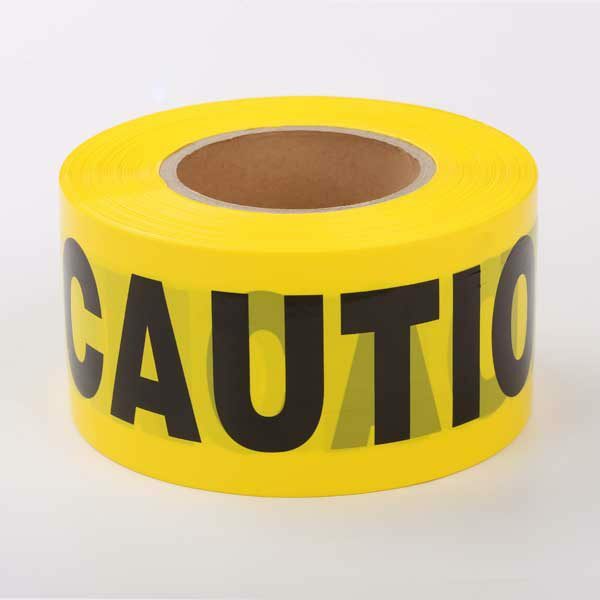 When you first think of caution tape, you may be tempted to think about how you see police mark off crime scenes on television shows. 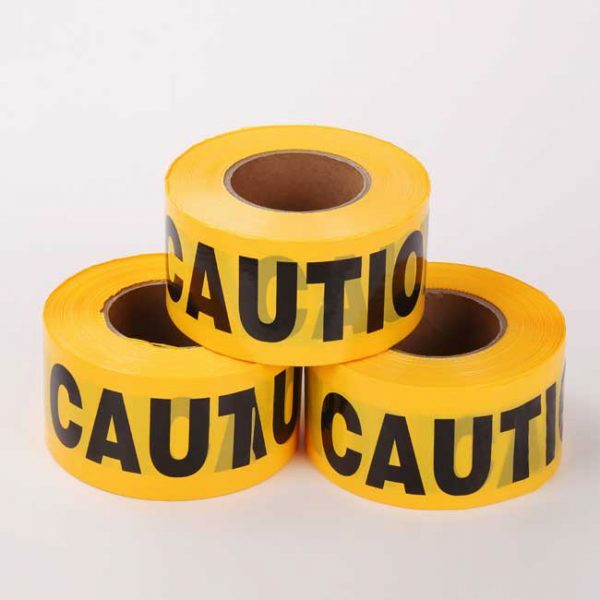 This is not the only use for yellow caution tape. 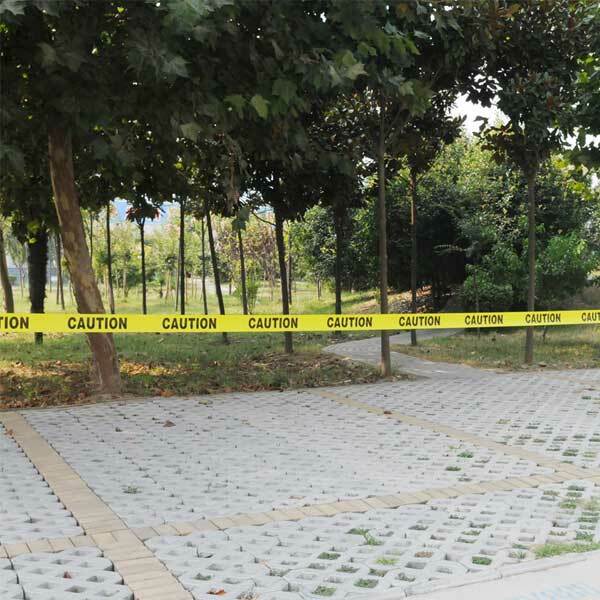 Caution tape was designed to help alert people when dangerous conditions lie ahead. Whether you need to wear a hard hat, there are moving vehicles, power tools in use, or other potentially hazardous situations. 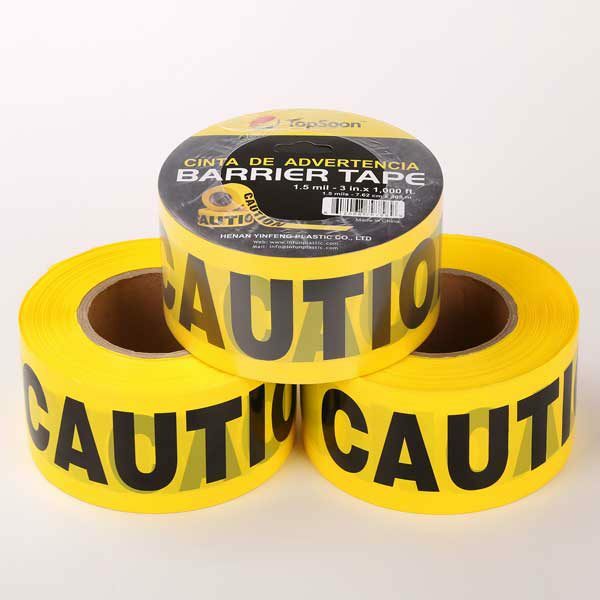 The caution tape here is made from polyethylene plastic that is heavy duty, reusable and weather resistant. Available in red and yellow, this non-adhesive polyethylene (PE) film warning tape is strong, durable, and long lasting. 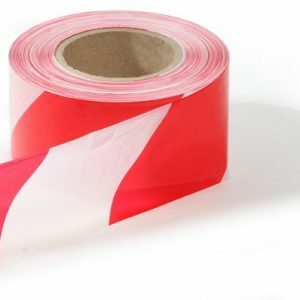 The lengths of rolls we currently carry are 300-foot and 1,000-foot.